From Graham Moore, the Academy Award–winning screenwriter of The Imitation Game and New York Times bestselling author of The Sherlockian comes a riveting historical thriller about the “War of the Currents,” the famous race for glory and riches between Thomas Edison and George Westinghouse. Featuring a cast of characters ranging from Nikola Tesla to Alexander Graham Bell to Stanford White, this is a wonder-filled work of historical fiction that is both legal caper and fact-based account of one of the most transformative moments in American history. 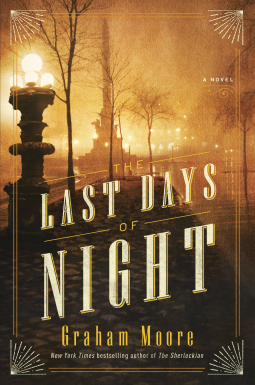 My interest in Graham Moore’s The Last Days of Night began with its cover. The image is striking to say the least and I love how the artist manipulated light in the composition. Something about that just feels right on a novel set against the introduction of competing electric power transmission systems in the late nineteenth century. I wasn’t familiar with Paul Cravath prior to picking up the novel, but I applaud Moore’s decision to use the twenty-six-year-old attorney as the story’s narrator. His youth and inexperience make him an ideal protagonist as he often requires others to bring him up to speed in both the law and electric science. This fact allowed Moore to insert an extensive amount of factual exposition in a very natural way. There were moments when I felt the amount of information proved detrimental to the novel’s pacing, but as a reader I never felt overwhelmed by the content and was always confident in my understanding of the concept material. I was also struck by Moore’s characterizations of Edison, Westinghouse, and Tesla. I think it would have been very easy to lose sight of their individual personas during the writing process, but Moore invested a lot of time and energy in capturing the disposition and temperament of each in his fiction. 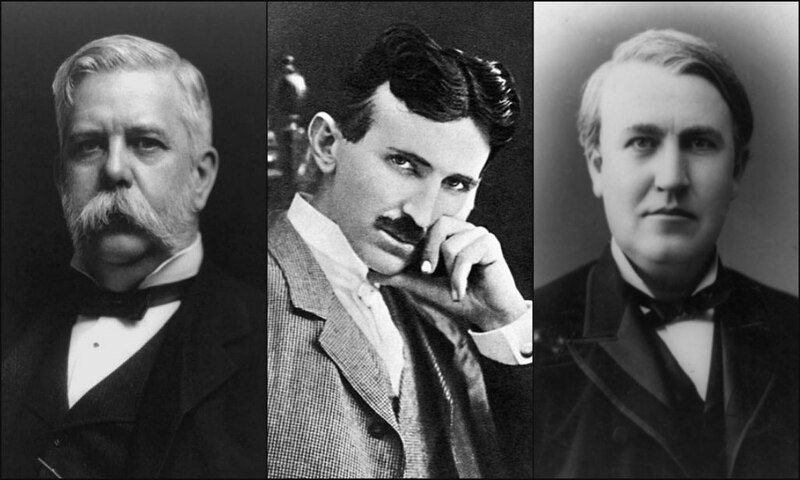 Edison’s pride is matched by Westinghouse’s competitive spirit and Tesla’s eccentricities. Moore’s treatment of each made it easy for me to keep each straight over the course of the narrative and I think the effort went a long way in developing their professional rivalry. The legal struggle between Edison, Westinghouse, and Tesla fascinated me to no end and I loved how Paul’s position placed him right in the thick of it. This was a momentous moment in scientific history and everyone wanted to claim the innovation as their own. The tension is palpable and I was transfixed by the lengths each individual was willing to go in the effort to satisfy their ambition and greed. Moore layered their antagonism with so much detail that it was hard to pull myself away from the narrative and that in and of itself is the mark of great storytelling. My only real complaint was the inclusion of Agnes Huntington. I liked her well enough, but I often felt her role was that that of token female lead. There was nothing inherently wrong with her character and I didn’t hate her by any means, but I did feel that she was tagged onto the story in hope that her presence might make the story more palatable to female readers. I understand her relationship with Paul and appreciated how her presence balanced and rounded his character, but I honestly didn’t feel her necessary to the larger themes and ideas of Moore’s narrative. A real pageturner! I recommend this book to everyone. When you read it, it's almost as if you're right there in the action!